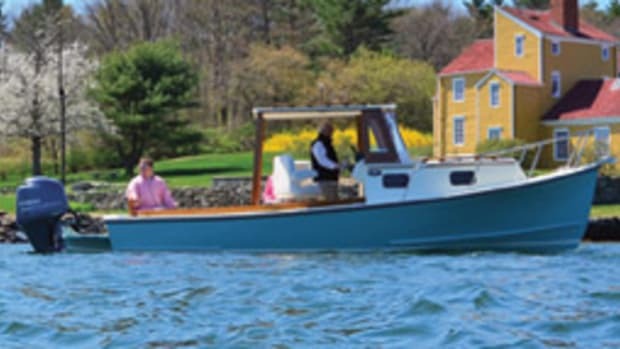 Marine craftsmanship is alive and well in Maine, where harbors and waterways are heaven for a classic-boat junkie. 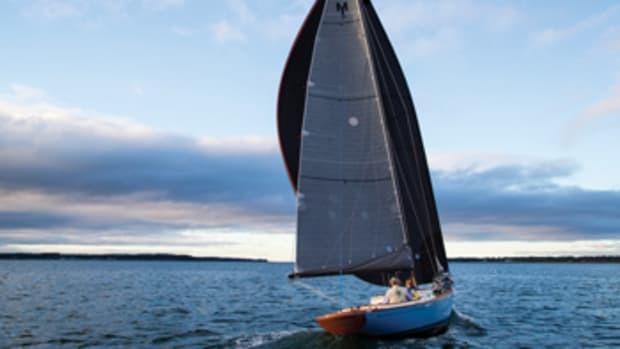 The boating visitor shares waters with 19th century windjammers, workboats, restored wooden sailboats and recent launchings from such shops as Hinckley, French & Webb and Morris. 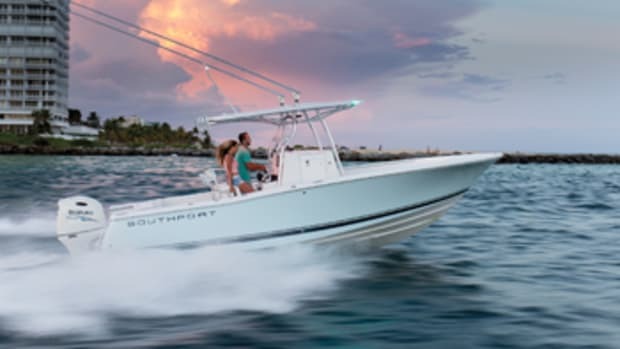 Almost every waterfront dazzles a visitor with a marvelous variety of boats, and it is here that small craft, perhaps the jewels in the crown, are most available for appreciation. Early morning finds watermen rowing timeworn skiffs out to their workboats. Dinghy docks are a far cry from the rubber-ducky depots of other parts of the country. They present a kaleidoscopic array of mostly rowing craft, mostly wood. Ironically, one of the best collections of small craft is at a too easily overlooked site - the WoodenBoat School in Brooklin. The boater transiting Eggemoggin Reach might consider the school&apos;s mooring field just another nice place to keep a boat. The land traveler needs specific directions to find the campus. Yet people do come, because it is here in the converted stables and on the waterfront of a former estate that the love of small craft and boatbuilding blossoms every summer. Students describe the WoodenBoat School as a craft school, a summer camp for adults and, particularly, as a special place. Instructors, many of whom are marine professionals whose busy season can be the summer, return year after year because the school is that special place. They do so because it has come to represent a way of life and a facility to preserve and teach skills. 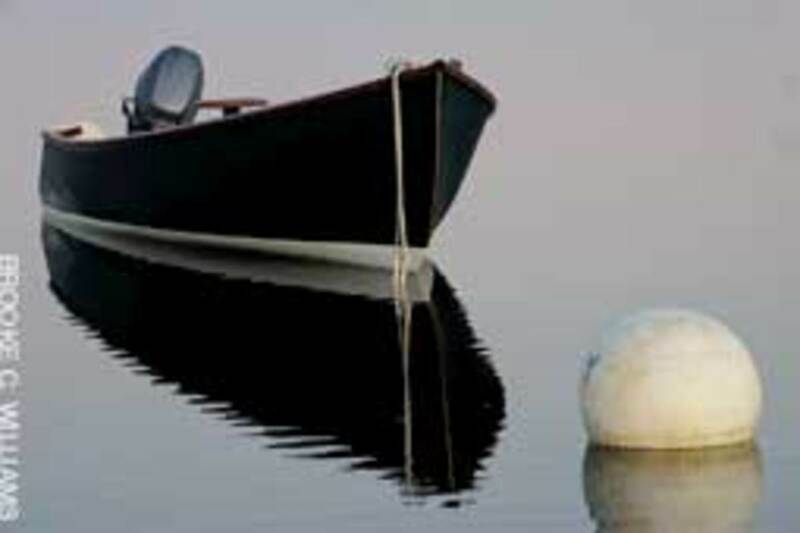 The glue that binds staff, instructors and students is a passion for small boats and for marine crafts, a passion for working with one&apos;s hands and a clear appreciation of the skills required. Almost half of the school&apos;s students are returnees. Conversations during lulls in shop work often turn to reminiscences about past classes and speculation about the courses to take next. Some students, such as Patrick McGeehan, are working toward a goal. When he retires, he wants to build a tender for his sailboat. 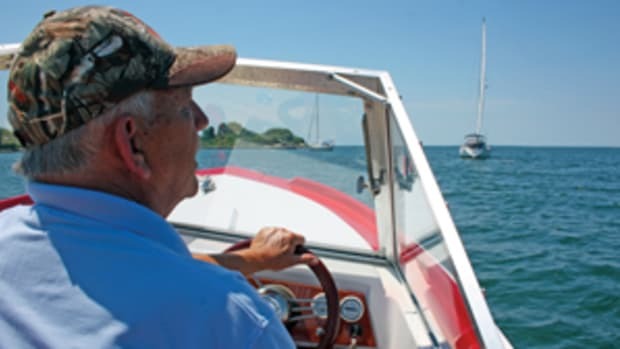 Return visits will give him the experience he needs and ideas about which boat he should build. Meanwhile, learning is fun in a collegial atmosphere. Others, such as Richard Groene, come back periodically to refine their skills and hang out with like-minded folks - in the shop, of course. He builds a boat every other year or so in his own shop. 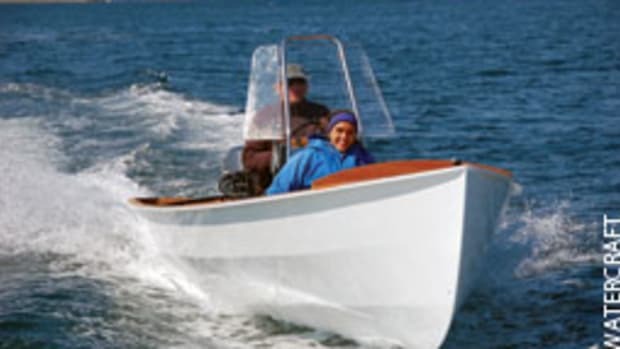 He has taken the Fundamentals of Boat Building course and would do so again because there is always something to learn. Of special interest to Groene is how the instructors approach and solve the problems that inevitably arise. Student speculation turns to enthusiasm when the course catalog is published in early December, perhaps rising to anxiety in January. Telephone registration begins at 8 a.m. on the first business day of the new year. All courses have enrollment limits, and many are in high demand. Any fundamentals course taught by Greg Rössel will be full on the first day or soon thereafter. Students have attempted to invoke seniority and create alumni privileges to secure a spot in his classes. Rössel is one of the great characters of Maine, and he shares his love of craft and craftsmanship in an almost kinetic way. This summer, he will teach a session of Fundamentals and Advanced Fundamentals. Once students are registered - by phone or by mail anytime until the start date of a course - they can plan and go back to dreaming. Tuition typically is $700 a course (www.thewoodenboatschool.com). Others, all alumni, have a late-spring date confirmed and, for the most part, need not dream about their time in Brooklin. The first official on-site activity comes in the last two weeks of May, Alumni Work Week, an extended reunion focusing on preparing the facility and its fleet for another season. Boats are inspected, repaired and launched. Forty-five alumni, two thirds of whom are regular Work Week participants, come for the fun. Why fun? It&apos;s all about the camaraderie, the shared interests and values, the anticipation of another school season. And they get to be guinea pigs for the kitchen staff. One of the school administration&apos;s many challenges is putting together seasonal services. The kitchen staff is mostly new each year. That merits some testing and practice. When he&apos;s in the area, Pete Peterson has been taking courses and assisting in any way he can since 1980. 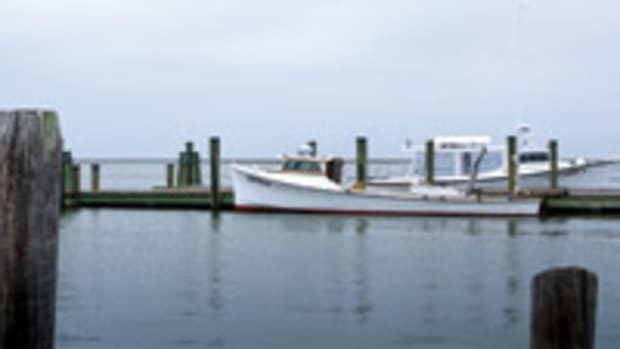 (His wife, Jane, teaches the Marine Photography courses with Jon Strout.) He would never consider skipping Alumni Work Week, not even if a kitchen test went awry. Rich Hilsinger, the school&apos;s director since 1990, has a carefully choreographed introduction for arriving students. They are to eat Sunday evening at the downtown residence, no matter where they are staying or eating during the week. Dinner conversation is the usual getting-to-know chitchat that gradually works from a sharing of why one is at the school to a sharing of experiences, ideas and values - all as intended. After dinner, everyone gathers outside near the side entrance for the official welcoming. Students introduce themselves with a brief biographical note, often including the courses already taken. This round-robin is great for new students such as myself. Rookies will be in good company; anxieties, if lingering, are put to rest by the building sense of enthusiasm. Lastly, the values of the school begin to emerge when Hilsinger introduces himself and the school. He touches on administrative matters and begins to focus on the coming week&apos;s experience. In doing so, he talks about far more than technical crafts. He is not even talking about boats. He is presenting the love of craftsmanship as a way of life at the WoodenBoat School and beyond. It&apos;s going to be a good week. 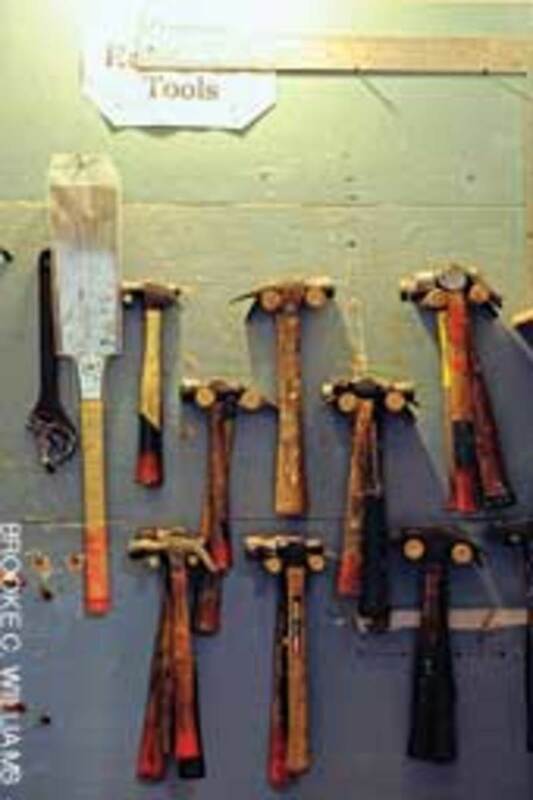 Once in the shop, students may think the coursework is more about technique and technical challenges than the aesthetics of craftsmanship. Indeed, students and teachers are constantly dealing with technical challenges. An instructor&apos;s work begins before the class starts. Walt Ansel, who teaches at Mystic (Conn.) Seaport and has taught regularly at the WoodenBoat School, assembles all materials and planes wood to the proper thickness but does no cutting. The students will measure, cut and fit all parts using traditional techniques for this type of workboat. It will be done from patterns and known dimensions. 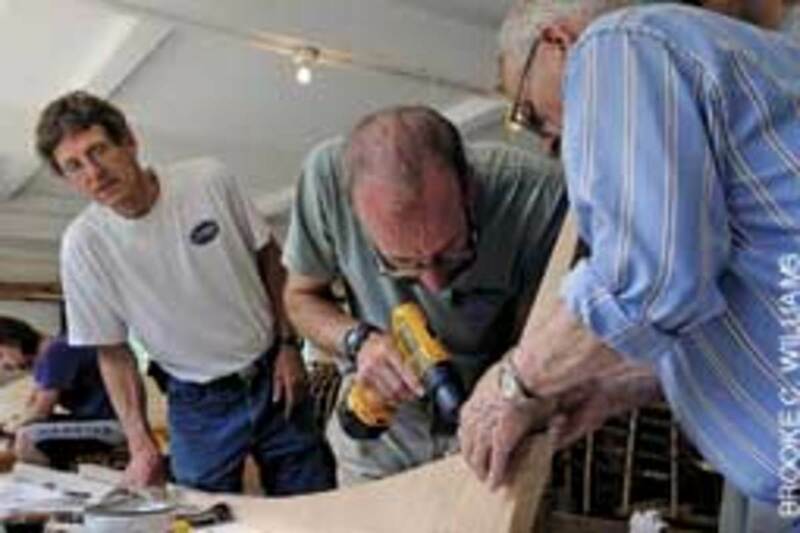 This artisanal way, as Walt likes to call these time-refined techniques, allows him to teach students to use the eye rather than plans when constructing a halibut dory. Therein lays the evolution of a student&apos;s mastery of the craft. 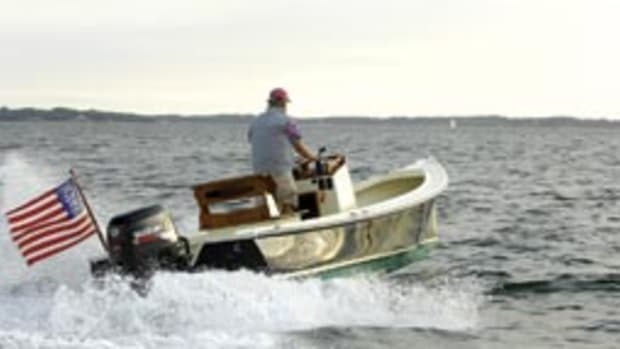 And a Banks dory will be built with a sturdy yet aesthetic appeal, as well as rugged construction. If all goes well, two students might even be able to go out for a test row. Visitors, perhaps someone who comes to shop at the school&apos;s retail store, aren&apos;t allowed in the shops. However, the large doors and windows combine with an open layout of the old stables to offer a good view of the activity. One will see more than boatbuilding activities. In a given week, one might see a forge set up for blacksmithing or students bent in quiet concentration, working on scrimshaw. Summer camp? Perhaps. Students are eager to tell you it is just that. And they are more eager to talk of the camaraderie of this particular destination and always pay direct or indirect homage to the school for its core emphasis on workmanship and functional artistry. The waterfront is the one aspect of the WoodenBoat School that might lead one to conclude it is about the boats. And why not? After all, it&apos;s a summer retreat on the water. 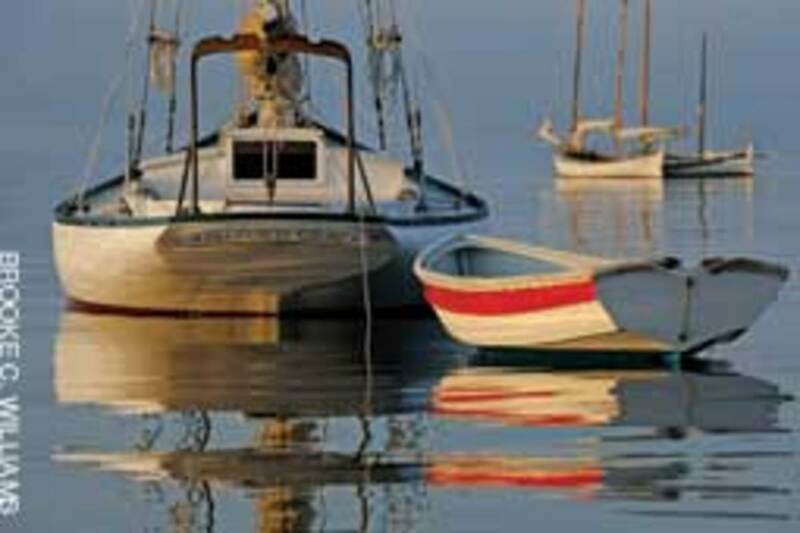 The school has almost two dozen types of boats on moorings, all available for student use. Perhaps Whimsey, a Concordia-built Beetle Cat, will take someone back to a New England childhood. 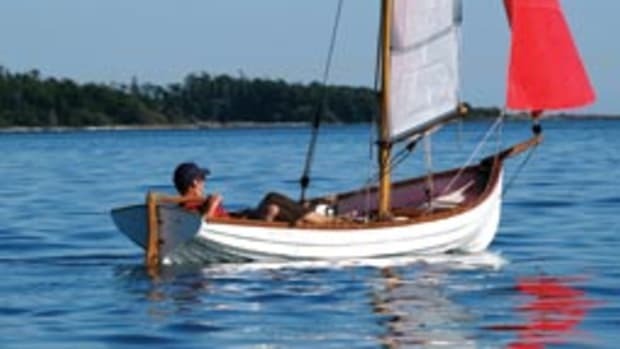 Or a Herreshoff 12-1/2, which this student has longed to sail all his life. The opportunities presented by these craft do not go wanting. Students are out in the boat in the afternoons after class. 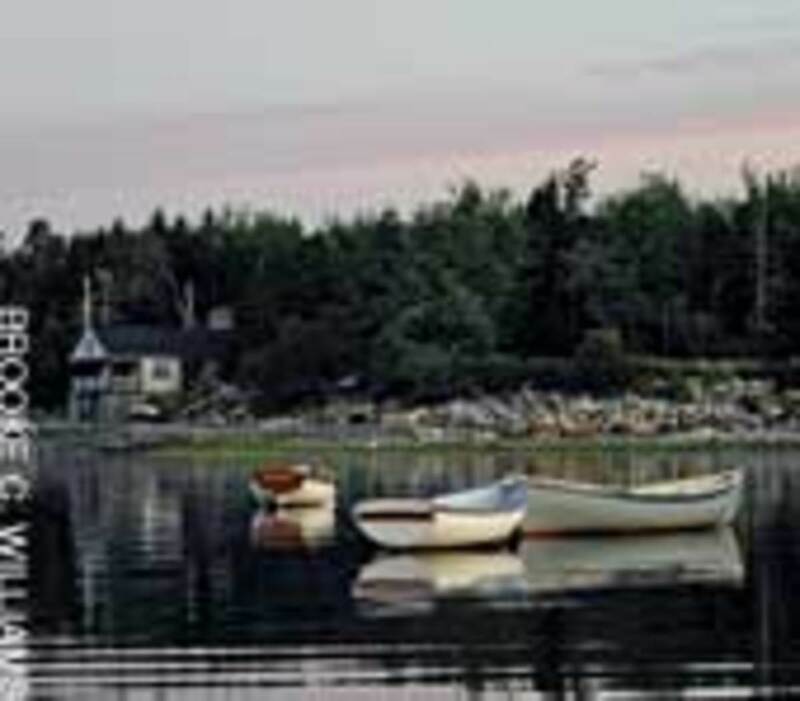 If one is willing to forgo dinner, late summer afternoons and evenings in Maine last a long time. Some folks exercise by rowing across the harbor to Babson Island, then take a walk through its fern meadows. A late arrival to the island will see boats already pulled up on the sand: Shellbacks, Whitehall tenders, a Shearwater and others. These craft bring us back to craftsmanship; their clean lines and solid construction are superb examples of the way things should be done. They are all in one way or another project boats of the school. Was it a good week? Ask any WoodenBoat School student. Ask me, an alumnus (Marine Photography, 2008). My week was highlighted by the last night&apos;s lobster boil down at the waterfront. The weather was perfect and the view marvelous, enhanced by my spending a week with camera in hand. The tentative chitchat of the first night&apos;s dinner developed into that relaxed noisiness that familiarity, experience and shared values bring. Shop talk about boatbuilding of all sorts was the common theme. "And what will you take next?" was the question before final farewells. 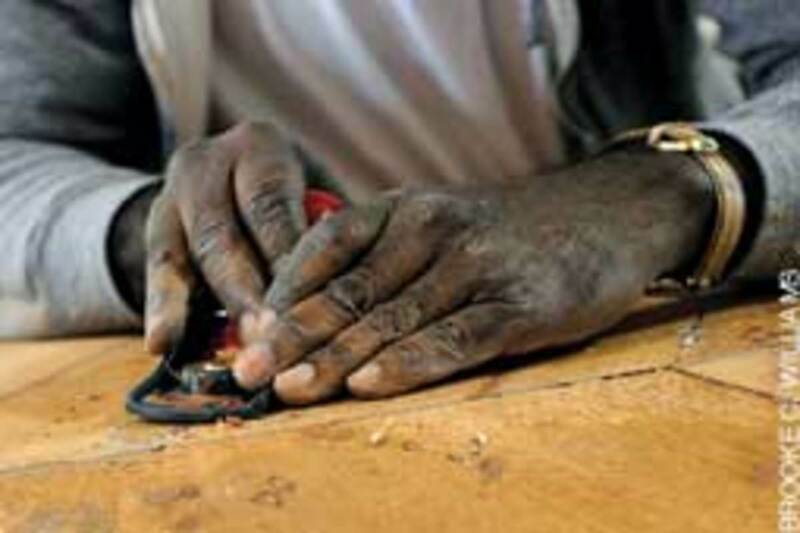 The sound of craftsmanship is alive and well.